What good does eternal punishment accomplish? 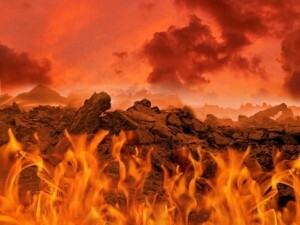 In my last post, I discussed the various defenses of the eternality of hell – this time, I would like to compare the role of punishment in the temporal world (our current temporal time frame) and in eternity (eternal time frame). 1. What does EARTHLY punishment accomplish? If we either incarcerate or execute criminals, we remove them from being a threat to the general population. Though the deterrent effect is hotly debated among experts even to this day, this defense of the penal system remains a mainstay. Punish some criminals, and others considering crime will be induced to not commit crime out of self interest. “Penitentiaries” are supposed to produce ‘penitence’ in the criminal – that is, a change of heart, a true sorrow, and a desire to both pay their debt and lead a positive life, contributing to society instead of hurting others. Punishment (except for capital punishment) is part of helping the prisoner to repay his debt. Not only does this remove any debt to society hanging over his head, it can help clear his conscience, which is part of what frees him to be a good citizen in the future. Many criminal justice theorists, as well as childhood development scientists, believe that the lack of a cleared conscience through penitence, payback (recompense), and forgiveness, leaves the guilty in constant emotional pain, which in turn causes them to act poorly out of their ongoing despair. The clearest example of this I’ve ever seen comes from the movie The Mission, in which Rodrigo Mendoza (Robert De Niro) is driven into despair because he killed his own brother in a fit of rage. Also, this guilt is compounding his guilt over his career as a slave trader. 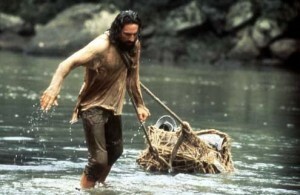 A local Jesuit leader, played by Jeremy Irons, has compassion on him and tells him that God can forgive him if he becomes a Jesuit monk and spends the rest of his life serving the local natives instead of enslaving them. But as part of his penitence, he has to carry their supplies up the treacherous climb to the mountainous home of the natives. This, along with the future forgiveness of the tribe whom he formerly kidnapped for slavery, is a perfect picture of the cleansing of the conscience, involving not just some word of Divine forgiveness, but punishment and recompense as part of clearing the conscience (for more on the function of the conscience, see The Tripartite Man (Part 3): Spirit, Conscience). When the ‘scales of justice’ are not balanced, people take matters into their own hands. Establishing justice removes the need for people to have to be involved in vigilante justice, which is not dispassionate and logical like civil justice is supposed to be. It ends ongoing animosity (ideally). 2. Do these purposes apply to ETERNAL punishment? In the Christian view of eternity, there won’t be any need to protect the innocent – they will all be safe in heaven, while the damned will be separated from them by a ‘great gulf’ (Luke 16:26). So, eternal damnation does not serve any protecting purpose. In the Christian view of eternity, there is no more real possibility of choosing evil, since the converted have been perfected both through sanctification and the resurrection. So continuing punishment is not needed in eternity to deter anyone. Well, if punishment is eternal, then there is no hope for reform, and therefore no plan to push the damned to penitence, since that opportunity is past (Hebrews 9:27). Of course, if you believe in the unBiblical doctrine of purgatory as some Catholics do and did, then you might think of punishment as restorative. Otherwise, if we are looking at the Bible, it seems that punishment can not reform anyone in eternity. This last item most definitely DOES apply to eternity, and I think the Bible promotes this as the main reason for hell – JUSTICE. Both love and holiness compel God to establish justice, and this alone may be justification enough for hell. It makes logical sense, but for many, this may not be reason enough for eternal punishment.